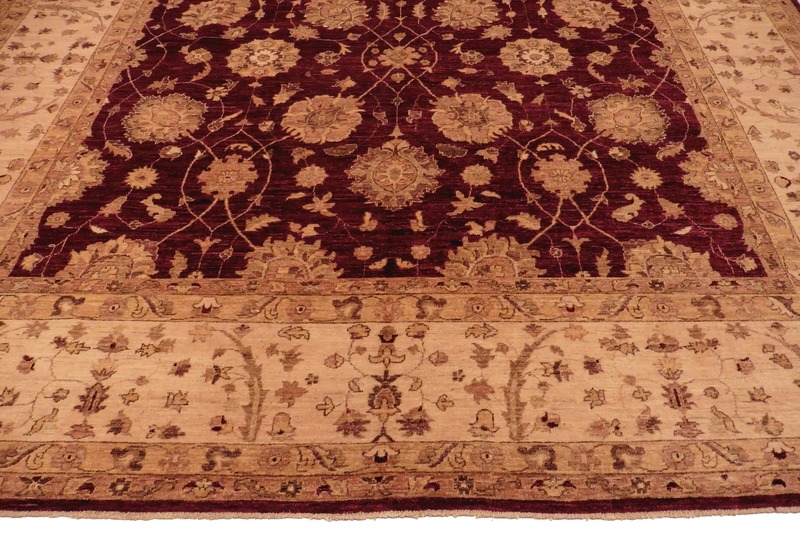 10 x 14 Peshawar Rug 13855 with beautiful burgundy background. Nice color tone variations. All over designs. 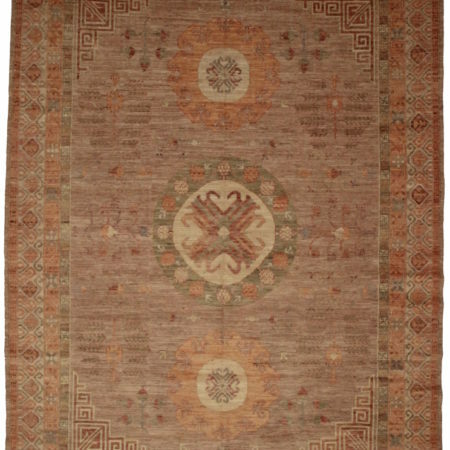 Hand knotted wool area rug from Pakistan. There are different types of Pakistani rugs. 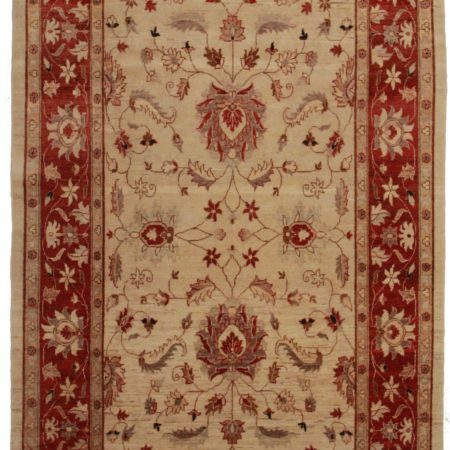 This is a Chobi rug also known as Ziegler, Oushak, or Peshawar. They are known for being handwoven rugs and hand-knotted using the senneh knot. Another admirable detail is the use of natural dyes, coming from vegetables and minerals. 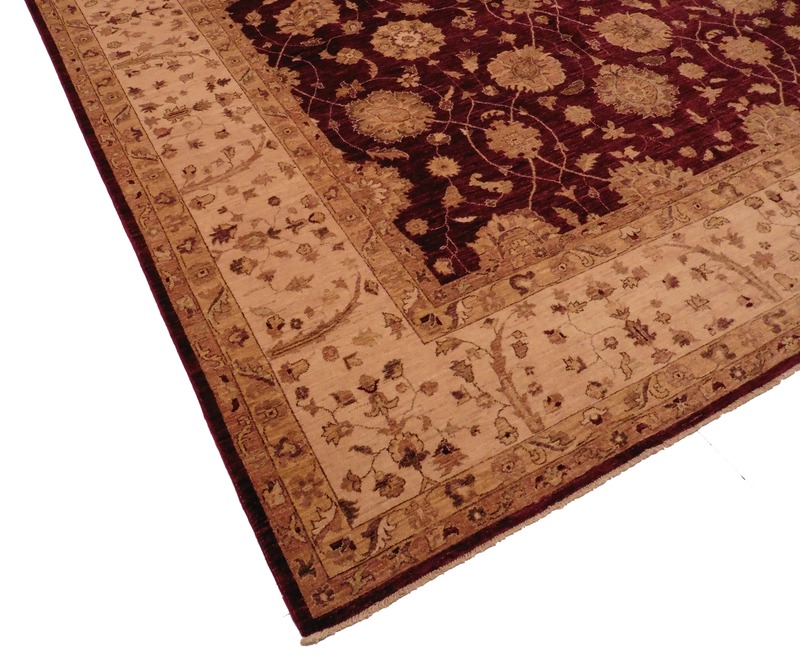 This gives the each rug a soft luminous shade that could not be seen in an artificially colored rug. They use local Himalayan sheep wool as the material to weave the design of each rug. 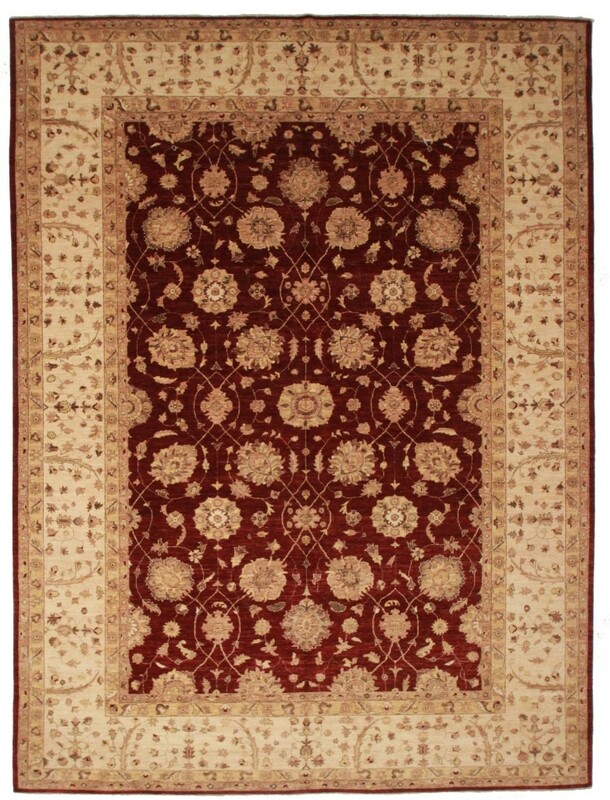 Occasionally weavers use natural or artificial silk depending on the features they want to highlight in a particular design or color of the rug or any special motifs. The most commonly used are the Persian and Mori weaves. Often subtle colors and earthy tones are the theme. This tradition can be traced to the 16th century when Indian craftsmen adopted Persian techniques and designs, during the beginning of the Mughal dynasty. They used Mughal architecture as there base for their beautiful motif and decorations. They were made to be distinctive and high know density’s. Their designs concentrate on medallions and octagonal patterns. They use various geometric designs with many elegant combinations. 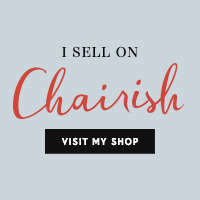 They are timeless classics and make a great addition to any room. They are given an antique finish for the classical elegance without taking away from its bold look. 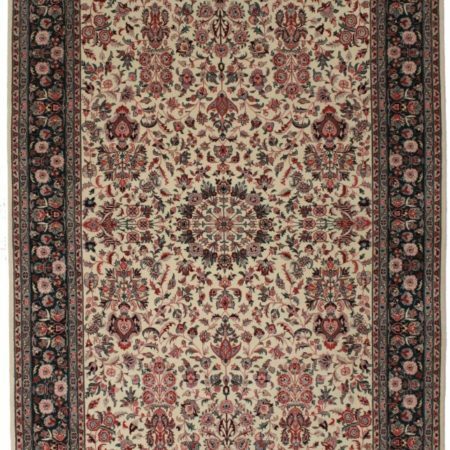 These traditional rugs come in different tones of red, dark blue and shades of blue, sometimes gold and brown is included in the design.